THE NATION'S PREMIERE GUITAR MARKET AT A COMMUNITY NEAR YOU. Feb 2 Public hours 10 a.m. - 5 p.m.
Feb 3 Public hours 10 a.m. - 4 p.m. The ORLANDO INTERNATIONAL GUITAR & MUSIC EXPO is celebrating its 32nd anniversary. Last year's show was as busy as any in recent years. This year's show is February 1, 2, and 3, 2019. We expect a record turnout of both dealers and our loyal public attendees. 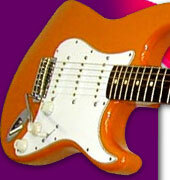 As usual, we will be giving away a vintage guitar to the public again this year. Click HERE to visit the blog from Guitar Stories USA. All of us at the Guitar Expo thank you for your continued support. Our host hotel is once again the Hampton Inn at Exit 92 on I-4 and is set up to welcome us to Orlando. ABSOLUTE CUTOFF DATE FOR BOOKING THE HOTEL IS JANUARY 17, 2019.